Above photos taken by Katie Trafton. Dr. Wayne Browning is a Washington State native and a 1986 graduate of Washington State University. 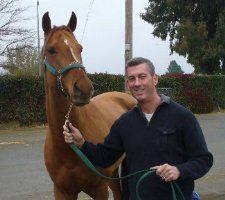 Prior to receiving his degree, Dr. Browning worked as both a groom and veterinary assistant at Longacres Racetrack near Seattle, Washington. 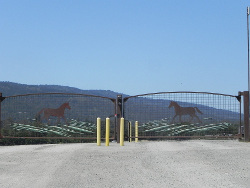 Following graduation, Dr. Browning continued to work at San Francisco Bay area race tracks until 1989, when he became a partner in Briarwood Equine, Inc. in Portola Valley. He then started Bayhill Equine in 1991. He opened Equisport in 2007, a rehabilitation facility located in Woodside dedicated to state-of-the-art equine physical therapy treatments and technologies. 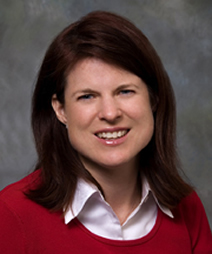 Dr. Browning serves on the Advisory Board of the Stanford Red Barn. He has also served as the Team Veterinarian for the New Zealand show jumping team at the 2010 World Equestrian Games in Lexington, Kentucky. As head of Carsen Consulting for more than 10 years, Susan lead a group of associates providing nonprofit management and fundraising counsel, serving clients in health care, culture and the arts, education, and human services. With more than thirty years of fundraising and public relations experience, starting at Stanford Medical Center, she previously worked at a major community foundation and then launched the San Francisco offices of two national consulting firms. 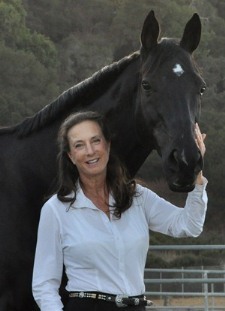 A native Californian who grew up with horses, was a Pony Club member, and adopted a retired racehorse while attending the University of California, Davis. With no horse in her life now, Susan welcomes getting her equine fix watching the horses at The Horse Park while walking her dog, Etta. As a dog-walking member, she is grateful to have a place to exercise and train her high drive Australian Shepherd legally and safely off-leash. 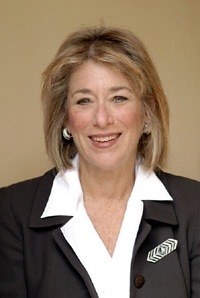 Susan is a member of Women in Consulting Silicon Valley Leaders’ Network, previously served on the Board of Directors of the Golden Gate Chapter of the Association of Fundraising Professionals and a founding member of AFP’s Peninsula Consultants group. 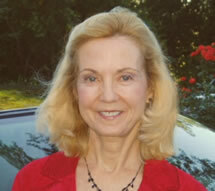 Bonnie is currently President and CEO of Full Circle CRM, a software firm. She has served in numerous executive roles at Oracle, Netscape, Genesys, and Salesforce.com leading marketing teams or business units for those companies. Bonnie graduated from Princeton University. 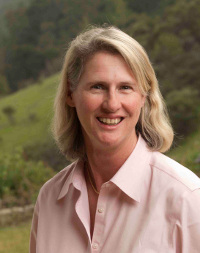 Bonnie Crater and her family live in Portola Valley and for the past 19 years, Bonnie has been an avid polo player with both The Horse Park Polo Club and Menlo Polo Club in Atherton. 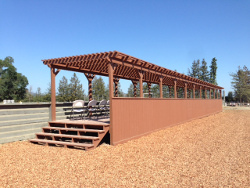 Bonnie led the effort to rebuild the polo arena at the Horse Park in 2000 and has served as Treasurer, VP or President of The Horse Park Polo Club since 2001. Bonnie has previously been a member of The Horse Park Board of Governors for three terms. 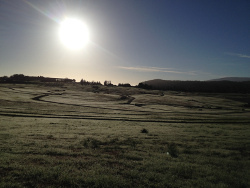 In addition, she successfully led the effort to renew the Horse Park's Use Permit with San Mateo County in 2008 and has also worked on many other operational initiatives. Michele is the Vice President and owner of Peninsula Debris Box Service LLC. Previously, she worked as a tutor in addition to raising her five children. 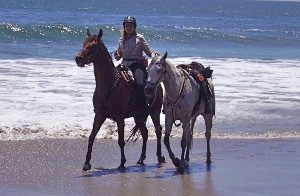 Born and raised on the peninsula, Michele began riding in at the age of 8 years old and was active with the San Mateo Horseman’s Association before moving onto Eventing. She changed disciplines to Dressage while attending USC where she met her Dressage mentor, Leslie Morse. Currently, she shows in dressage at all levels in California. She has a Bachelor’s of Arts from The University of Southern California in Education and completed her graduate work in severely handicapped education from San Francisco State University. 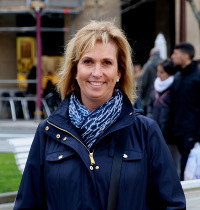 Michele currently lives with her husband and five children in San Mateo. 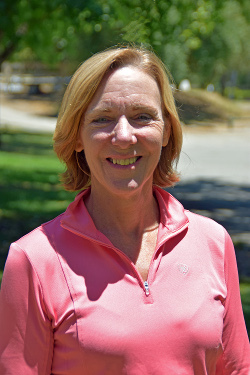 She is a board member of the San Francisco Peninsula Chapter of the California Dressage Society, is very active with the San Mateo Chamber of Commerce and helps NCEFT with fundraising efforts. Barb has been involved in eventing, hunter/jumpers, endurance riding and as a child, participated in Pony Club in Canada and Africa. After getting a Masters at Stanford University, she worked as a News Writer/Producer for 25 years, before going on hiatus to raise a charming son with her techie husband. 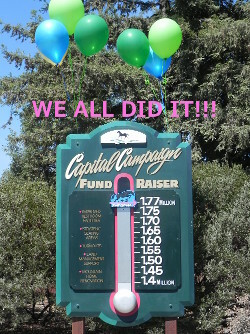 They live in Portola Valley, where she serves on the PV Trails & Paths Committee and Celebration of the Horse Committee. She's a past committee member of the Calgary Exhibition & Stampede, and also runs a program which introduces equines to children who've never had the opportunity to commune with a live horse. In her spare time she helped found YMSL Alpine, in which mothers and sons do community service together. She is a super enthusiastic supporter of the jewel we call The Horse Park. Melissa Hollatz is a partner at Wilson Sonsini Goodrich & Rosati, where she focuses on all aspects of public and private company representation, including mergers and acquisitions, public offerings, financings, and corporate governance, with an emphasis on technology companies. Melissa has extensive experience in mergers and acquisitions involving both domestic and international deals by public and non-public companies. Melissa received both her B.A. and J.D. from Stanford University. Melissa has two horses she trains with Three Bay Farms. She competes in eventing and local dressage and hunter/jumper shows and has a border collie who loves to go for morning walks at the Horse Park. Since retiring in 2009, Victoria is indulging her greatest passion, horses, by Eventing at the Preliminary level. She resides in Portola Valley which she considers a paradise. During her 30 year career in Asset Management Victoria worked at Robertson Stephens, Bank of America and concluded with 10 years at Barclays Global Investors. Victoria was one of the early pioneers of exchange-traded funds (iShares). As Managing Director, Head of iShares Sales, she launched, developed and managed the global sales organization beginning in 1999 and ran it until BGI's sale to BlackRock in 2009. Victoria has a BS in Chemistry from the University of Puget Sound and continued her graduate work in Chemistry at the University of Cambridge in England. Victoria's statement - "I hope to bring my love of Eventing, my gratitude for our extraordinary venue, and the skills I have acquired to specifically benefit the members of the Horse Park by listening well, and giving voice and effort to what I hear." Victoria is also co-chair of the Pacesetters fundraising effort for the local charity, Riley's Place. Leslie Lian grew up in Los Angeles and spent much of her youth trying to find horses to ride in the city. Disappearing open land has long been a theme in her life. She brushed ponies at Kiddie Land in Beverly Hills, exercised polo ponies, found hidden canyons for trail riding and eventually began to study riding more formally, competing first in Hunters and Jumpers and then in Eventing and Dressage. She graduated from UCLA and holds a Master’s Degree in English from University of Virginia (a school chosen, in part, for its location in the heart of Virginia horse country.) She has a background in publishing, working in academic publishing at Harvard Business School Press and UC Press, as well as at a Hollywood literary agency. She has lived in Woodside for 26 years and is a longtime member of The Horse Park. A parent of 2 boys, she has been involved in local schools; managing the school garden at Woodside Elementary School; and serving as a board member of the Woodside High School Foundation for the last 5 years. She is a Neighborhood Leader for CERPP, and has been involved in pet therapy and therapeutic riding programs. She has been Volunteer Coordinator for The Horse Park for 2 years, working with local schools and groups to help with habitat restoration at The Horse Park. She finds it a great privilege to ride her 2 homebreds at The Horse Park and is passionate about preserving it for others to enjoy. Tom retired in 2001 after a 30-year business career, including an entrepreneur in the photography business, management consultant in systems, financial and distribution operations and finally an executive for a manufacturer of protective packaging materials. Tom has served in numerous community service positions including the board for the Trust for Hidden Villa, Planning Commissioner for the Town of Woodside, and the Architectural Board for Woodside Hills Home Association. He and his wife, Ann, an executive at Hewlett-Packard, reside in Woodside. Their daughter, Emily, has been an avid Hunter-Jumper equestrian since the age of 9. She currently trains with Willow Tree Farm and competes in the US and Canada in Show Jumping. Tom was on the Menlo Horse Show Executive committee for four years and continues to volunteer for the annual charity event. He is an occasional trail rider. Katrina is a Computer Software Professional with a passion for horses. She was raised in the Philippines and as a young girl traveled internationally to compete in Pony Club Events. She graduated from Georgia Institute of Technology with a Bachelors of Science in Information and Computer Science. Katrina has held extensive positions in the Software Industry. Her specialty includes hiring and managing engineering teams, computer networking and web server development. She most recently was the Vice President of Engineering at Archimedes, Inc. Other positions she has held included management at Oracle, PointCast, E-Stamp and ChemConnect. Katrina began her horse career in Eventing and has since moved to Jumpers. 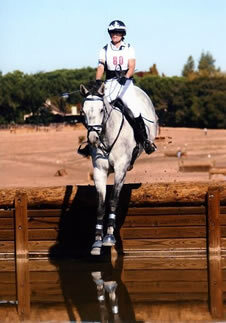 She actively competes in Jumper Shows in California. She has been a member of The Horse Park for many years and is very excited to help contribute to its further development. Eileen has lived in Portola Valley for the last twenty plus years with her husband Gary Morgenthaler, a venture capitalist. She is a graduate of Stanford University. After 20 years in sales and marketing, she retired to raise her two children ages 16 and 13. She is an avid eventer, boarding 5 horses at the Horse Park. She is also a passionate skier and traveler. Her daughter is in Pony Club and events as well. She formerly served six years on the Board of the Ronald McDonald House at Stanford. She also served on the Horse Park Board from 2005-2011. 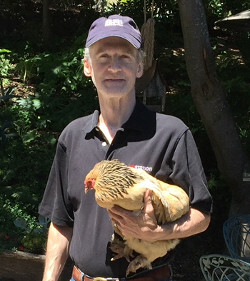 Marty is originally from the East Coast and has lived in the Bay Area since 1984. She learned to ride as a child and competed at the collegiate level. After a brief break, Marty started riding again when she moved to the Peninsula in 1986, competing in Hunter/Jumpers and Eventing. She and her husband Michael have three girls who are all active equestrians. The girls compete in Eventing, Barrel Racing and Extreme Cowboy Racing. Marty has been a supporter and member of The Horse Park for more than 20 years. Following a career in hi-tech marketing communications, Marty helped run Woodside Junior Riders and Woodside Pony Club for 10 years. 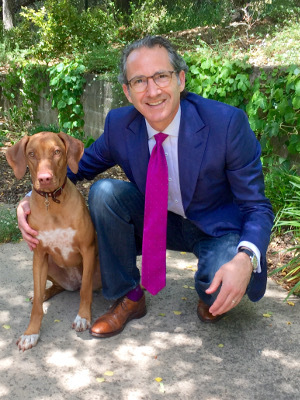 Marty holds a BS degree in Marketing and Finance from Lehigh University, and an MBA from the University of Chicago. 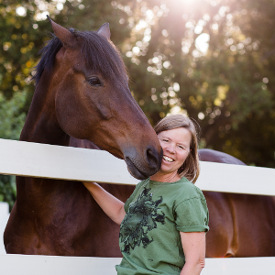 Marty and her family reside in Redwood City and she is currently the Barn Manager for NCEFT. Steve has over 30 years of experience in the sales and marketing management of medical devices and diagonostics. His early career was in large, mulit-national companies, and he then migrated to startups. Steve was Global Vice President of Sales at SenDx Medical, Inc. With other companies, Steve created a join venture in Shanghai, overseeing it as Vice Chairman of the Board and part of the senior management that took a company public on the Canadian TSX Venture Exchange. Steve has an undergraduate degree from Rochester Institute of Technology and an M.B.A. from Claremont Graduate School. Steve grew up in upstate New York and rode from an early age, primarily in jumpers and the Genesee Hunt. 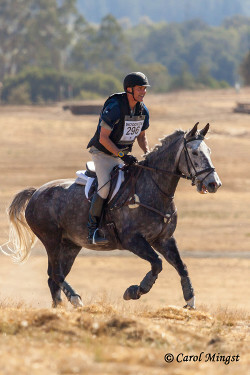 After taking a hiatus to raise a family, Steve returned to riding and starting Eventing. Over the years he has been one of the leading volunteers for the Woodside Horse Trials and is also a member of the Portola Valley Pony Club and the Woodside Trail Club. Tom Shanahan is a 31 year resident of Woodside and polo player. He joined Needham & Company in 2002. He serves as the Head of West Coast Investment Banking and also is a General Partner of Needham Asset Management, LLC. Tom is the former CFO and co-founder of Agile Software Corporation (acquired by Oracle). Additional Silicon Valley experience includes CFO assignments at SBT Corporation (acquired by Computer Associates), DG FastChannel, Inc. (public) and Sherpa Corporation. He has 14 years of investment banking experience at Donaldson, Lufkin & Jenrette and The First Boston Corporation (now Credit Suisse). Tom served as an officer in the First Infantry Division in Vietnam. He is a graduate of Stanford University (Phi Beta Kappa) and the Harvard Business School (Baker Scholar). Gayle Strickland has been involved with The Horse Park at Woodside since she moved to Woodside in 1992 to have her horses at home. She went on the board in 2002 and has been President of the board of governors since 2008. She graduated from Stanford University and spent over thirty years in business, first with IBM and then as an independent consultant. She designed and installed computer systems central to business operations for manufacturing and banking systems. Gayle currently lives in Morgan Hill area with her husband and four horses. Charles Welch has extensive experience in mergers and acquisitions, business and corporate development, finance, capital raising, investor relations, human resources and law. Charles is a serial entrepreneur. He has been a principal at three different businesses where he sold each company. Over a fourteen plus year investment banking career, Charles has successfully completed numerous M&A, strategic capital raise and licensing transactions in a variety of markets. For the last ten years, Charles was a Managing Director at Pagemill Partners and has held a number of other positions at several technical companies. 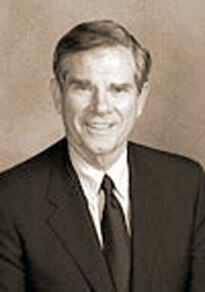 Charles was also a corporate securities attorney at Wilson, Sonsini, Goodrich & Rosati. Charles has a Bachelor of Science in Civil Engineering from Virginia Tech, a Masters in Real Estate Development from the University of Southern California and a J.D. from the University of California at Berkeley (Boalt Hall School of Law). Phillip Whalen, has had an extensive management career in emerging cloud, mobile and application software companies. He is currently a Senior Visiting Executive at SRI international. He has served as CEO of: Real Time Genomics; IVT, Inc; OnStation Corporation; and Thinking Tools. Previous roles have been President and EVP of Corporate Sales and Marketing. He holds a BA from Denison University, a MA from Webster University and a MBA from Stanford University. Outside of his professional life, Phillip has been active in the horse community and the Town since he and his wife moved to Woodside almost twenty-two years ago. 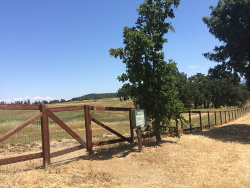 They live on six acres behind Portola Farms, where over the years they have had horses, donkeys, goats, chickens, and the typical "country" assortment of inside animals. He has been volunteering at the Town of Woodside for fifteen years and is currently on the Town Audit Committee. Phillip worked with Fentress Hall in the early days of WHOA and the Day of the Horse (DOTH), and about ten years ago joined the WHOA Steering Committee (nay Board) where he is now one of the longest serving members. For the last five years he has run the DOTH operations at the Mounted Patrol grounds. As a member of the Mounted Patrol for ten years, Phillip has been significantly involved in many of its events, including helping to manage the annual July 4th Junior Rodeo. Separate, but related, for about five years he has been a Board member of the Mounted Patrol Foundation, the separate 501c3 started by the MP, an organization that has fund-raised and donated over $300K back into the horse community. In addition to the above, he and his wife have been active with SMCHA and other horse organizations. 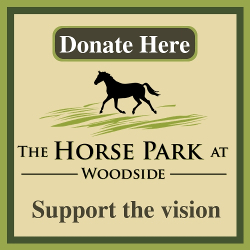 His goal in all of this has been to help support the rural lifestyle of Woodside and make sure that it remains a welcoming place for horses.